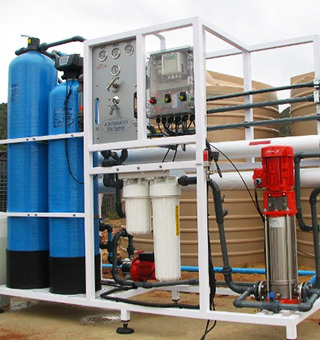 water treatment plants and equipment. 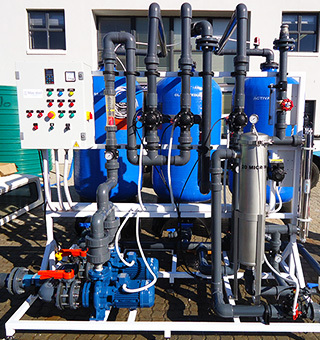 Blue Steel Water Treatment’s success is due to it’s ability to be flexible to customers needs, and to supply durable, quality products to meet customers requirements at affordable prices. Blue Steel Water designed, built and commissioned a plant for Colcom Foods in 2014. They supplied Colcom Foods with up to date cost saving chemistry for the boilers, condensers and cooling towers. Blue Steel Water is extremely professional and provides a service that is second to none. Their back up­ service is to be highly commended they respond quickly and efficiently. The filtration system works very well indeed and to date we have experienced no issues at all with it. Blue Steel Water have a great back up service with parts / spares and have always been quick to respond and assist with advice and suggestions to our staff on the ground. This has been invaluable given the camps remote location. We have been using Blue Steel Water since 2008 for all our water filtration needs. They were of great assistance in selecting a filtration system, which was tailored specifically for our requirements. The system works very well and to date we have no issues at all with it. Blue Steel have a very good back up service with parts / spares and have always been quick to respond.